Seaside Essaouira is the perfect stop-over after a holiday around Morocco or a break from Marrakech. With fresh seafood in abundance, a laid-back medina for wandering, lively squares for people-watching while sipping coffee, and a relaxed beachfront for wandering, a three-day break here goes by quickly. 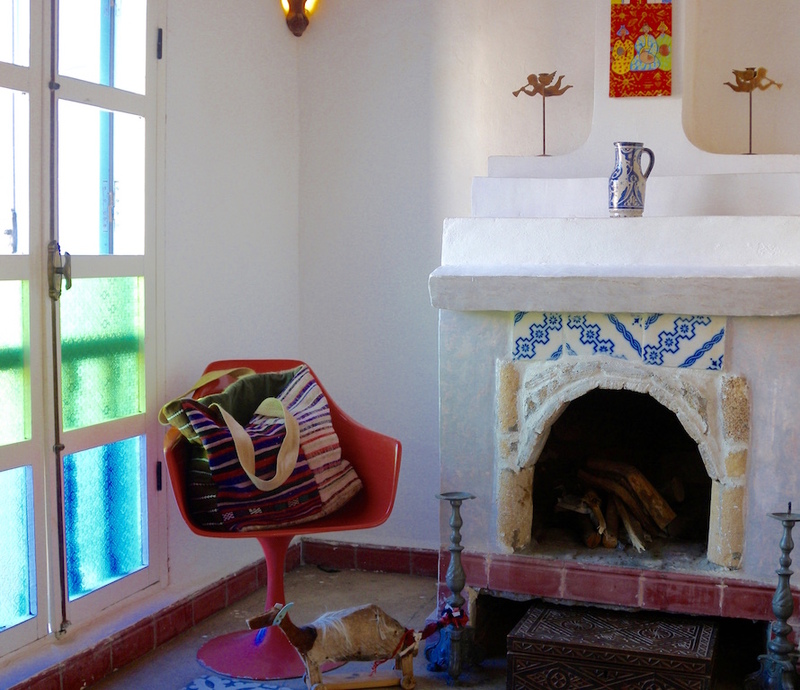 Discover our favourite budget-friendly accommodation picks in the lovely city of in Essaouira. 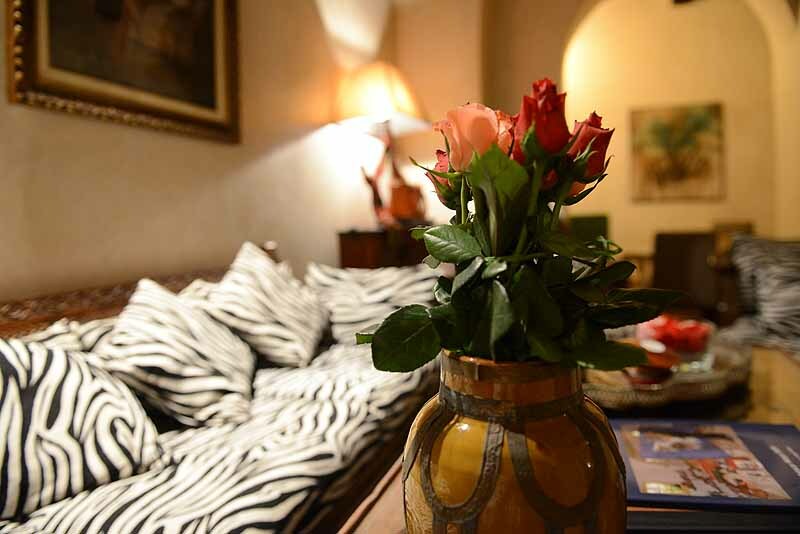 While not exactly budget in comparison to other riads noted, Riad Emotion’s rates are extremely reasonable and the services beyond what you would expect. The sun-lit patio and large, bright rooms with sitting areas at the entrance make this a top pick for travellers who want a bit more luxury but without breaking the bank. Owners Philippe and Gisèle are often on-site and do their best to make sure guests’ every needs are taken care of. 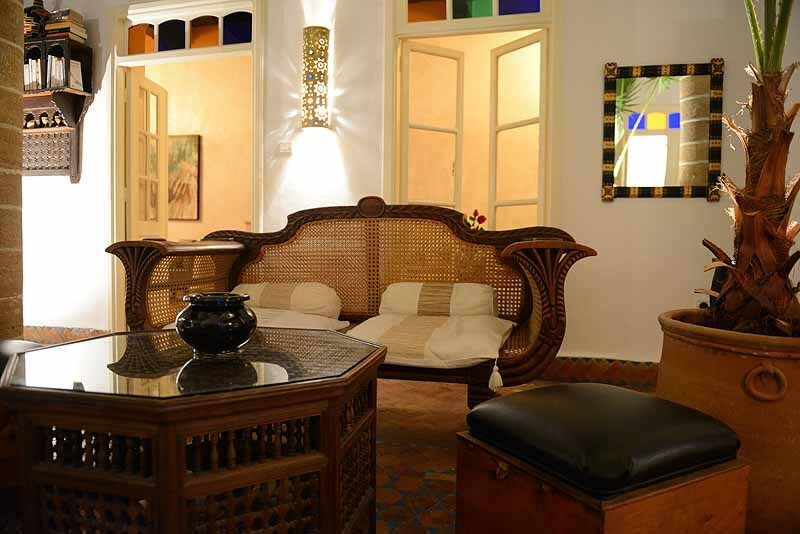 This hotel provides a perfect trio of self-catering apartments for those who prefer a bit more privacy and freedom to come and go as you please in Essaouira. The day starts off with a delivery of fresh ingredients for breakfast – yogurt, eggs to prepare as you please, and a baguette along with fresh fruit. 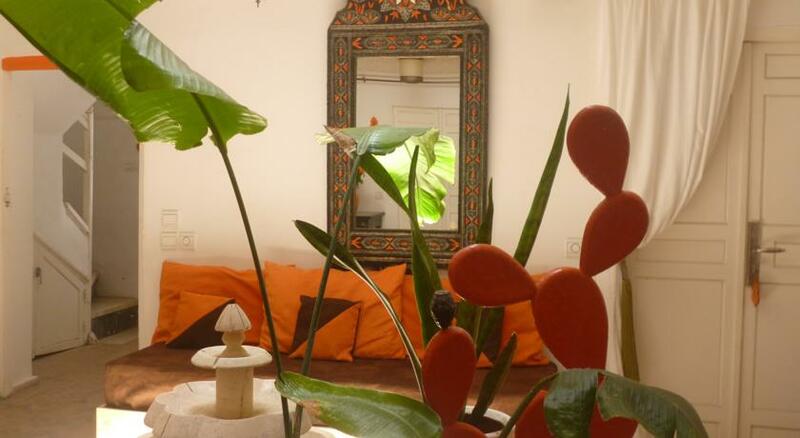 But the retro, flea-market decor and sun-filled apartments make the apartment somewhat difficult to leave. 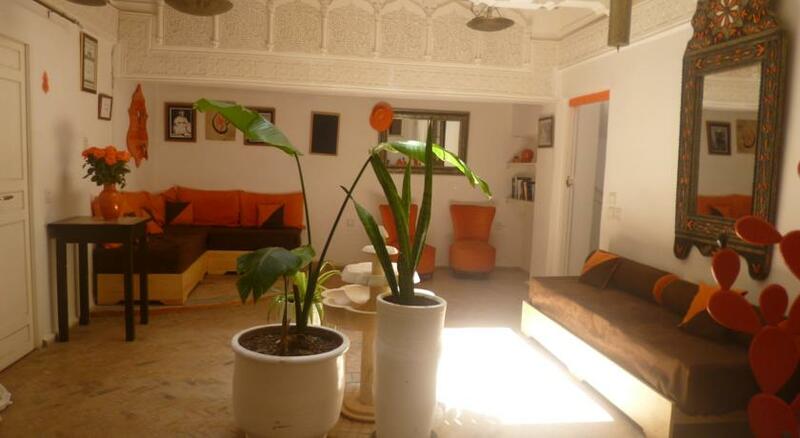 Opt for apartment ‘Zhuzh’ for views of the sea and apartment ‘Wahed’ for views over the old medina. It is possible to arrange dinner delivery by the chef and we highly recommend a local seafood specialty. 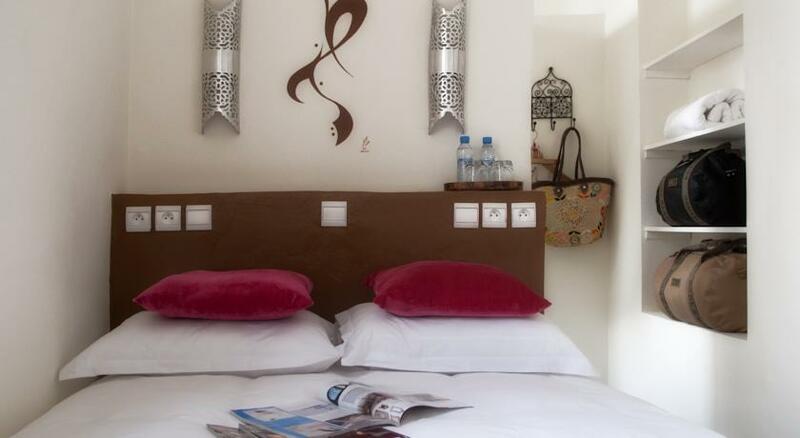 The rooms here are small and the breakfast is a standard Moroccan fare – msimen, coffee and a bit of fresh fruit – but the location is wonderful and the little amenities make it worth while; a trendy basket is provided for souk shopping or beach days! All rooms look onto the central patio and are scattered across floors. The rooftop terrace is lovely any time of the day (if the wind is not too strong) with comfortable sofas and chairs for lounging. 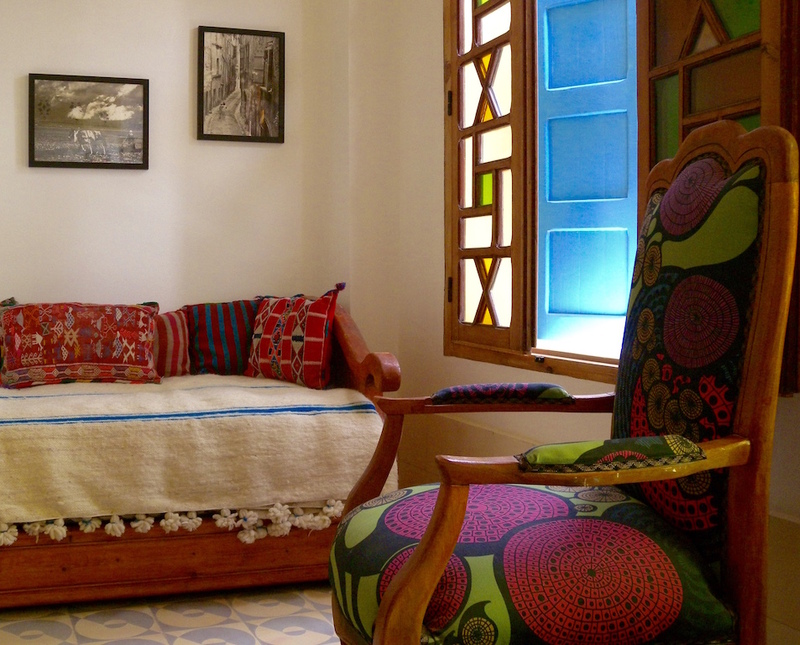 Owned by a Moroccan-Australia man who is often seen biking around the medina, Dar Afram has a friendly, unpretentious riad. Dar Afram is a great place for meeting other travellers as the common areas are quite lively in the evenings following dinner, which we highly recommend ordering. The rooms are simple, with en-suite bathrooms. 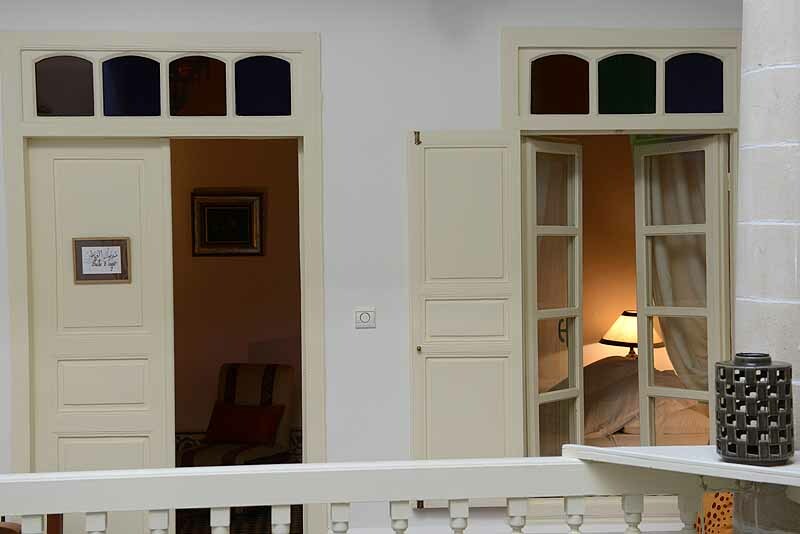 While the entrance may seem dark and uninviting, step inside Riad Nakhla and head to the upper levels where the rooms are small but complete with en-suite bathrooms. 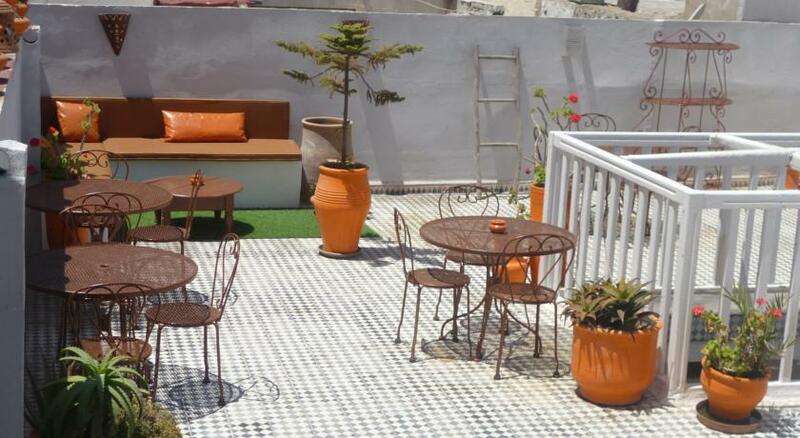 The rates include breakfast, which is often served on the rooftop terrace with sea and city views. The service tends to be slow but the friendly staff more than make up for it. 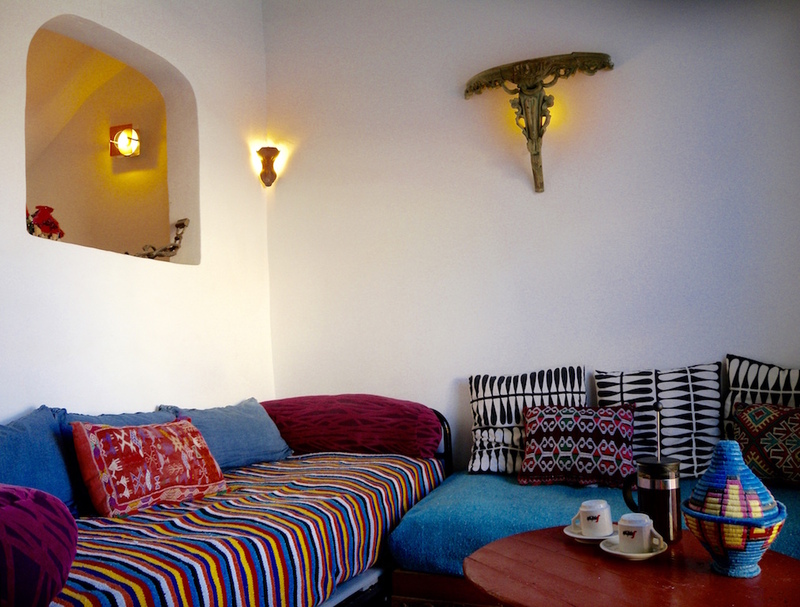 The enclosed terrace is perfect for enjoying the views even on the windiest of days in Essaouira.